This hotel is 100pct non-smoking Welcome to the Embassy Suites San Luis Obispo hotel. Conveniently located in the heart of California*s breathtaking central coast we are just off Highway 101 and minutes away from seven Championship Golf Courses 40 premium wineries fishing surfing and much more. Also nearby are AT - T Learning Center Bank of America California Poly State University Cuesta College French Hospital Medical Center PG - E Power Sierra Vista Regional Medical Center Veritas. Guests of the Embassy Suites San Luis Obispo hotel will enjoy our famous fully cooked-to-order breakfast /see our interactive site www.myomelet.com/ as well as our nightly Manager*s Reception. Here are more activities for your consideration to enjoy when you stay with us Avila Beach Golf Course Avila Beach Corbett Canyon Vineyard Hearst Castle Morro Bay Tiger*s Folly Harbor Cruises York Mountain Winery. 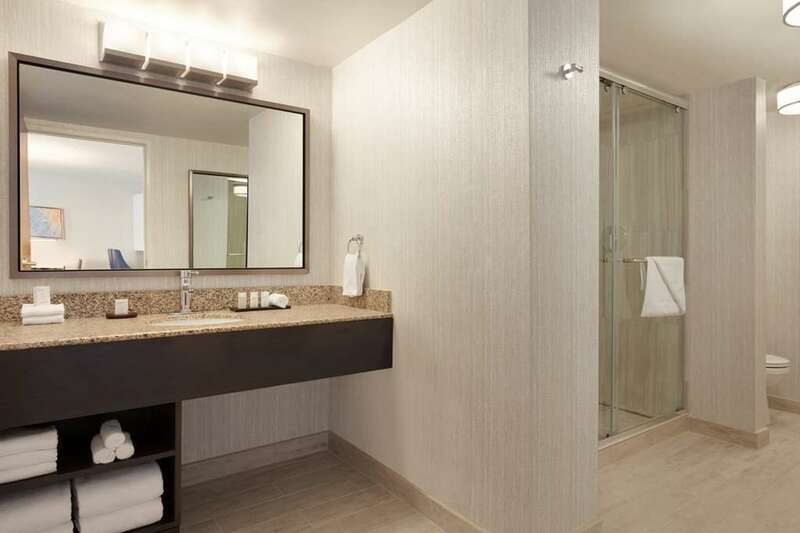 Please click the accommodations link above to see all the amenities available to you while you stay at the Embassy Suites San Luis Obispo hotel.